You can actually create an invoice in three different ways, and they are presented below. When you log in to EasyPractice, there is an entire section called ‘Invoices’. 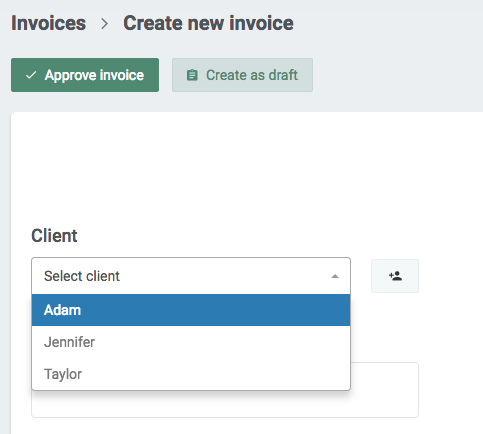 When you click ‘Create Invoice’ you’ll be able to choose which client it concerns and you’ll get an invoice that is editable. When the invoice is completed, you’ll have a PDF that can safely be emailed to your client. Another way to create invoices is to go to your clients’ profile in the section called ‘Clients’, and then the tab called ‘Invoices’. From here, the procedure is the same as before. NB! 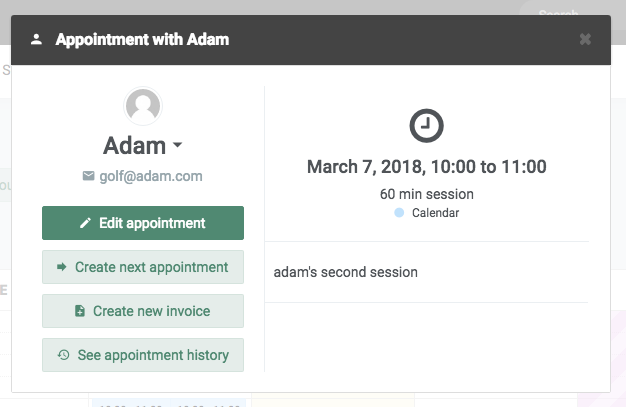 If you go to ‘Settings’ and then ‘Invoices’, there are plenty more functions you can check out. For instance, you can edit the email that will be sent out along with the invoice, and chance the due date. You can also add your logo, which will be shown on your invoices.